Mike Potts was born and raised in Crystal Lake Il. Starting the piano at age 4, his mother made him practice and continue lessons through highshool. He refuses to thank her (out of principle). 5th grade brought the introduction of the Clarinet, followed by the Saxophone in 6th grade, along with school choirs. Mike was performing music daily and loving it! Baker House – In a sense, this is the birth place of Felix And Fingers. This is where it all began years ago. He attended Prairie Ridge High School during those crucial formative years, where he found himself part of every possible music ensemble…except women’s choir (despite his best efforts). 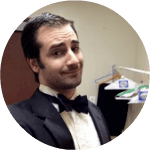 Mike was the Drum Major of the Marching Band, Lead Sax of the Jazz band, Section leader of his choirs and choir board president, and also spent time in the theater program (both plays and musicals). In his free time, Mike played varsity tennis. 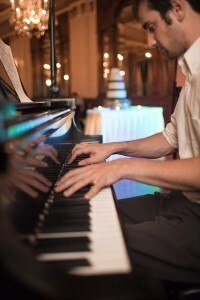 Following high school, Mike studied music at Roosevelt University’s Chicago College for Performing Arts. Officially he has a degree in Jazz Saxophone Performance, but was able to study piano, voice, composition, arranging, conducting, and all the other subjects every good music major should know. Mike Graduated in 3 years with honors…and with absolutely no career path. The next 3 years were spent on cruise ships. Over the course of 6 contracts, Mike visited 45 different countries performing music. Mostly playing sax in the orchestra, Mike was able to see and work with every featured entertainer who came aboard. This set the foundation for his own journey into the entertainment industry. After his final contract, Mike returned to Crystal Lake and began performing regularly at the Baker House in Lake Geneva. 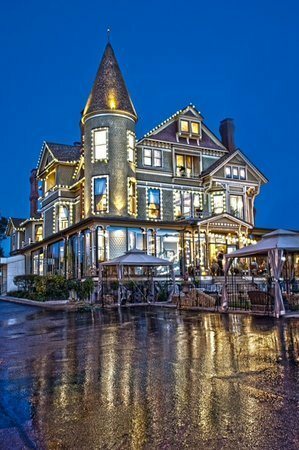 This 1890’s mansion had him playing tunes from the early 1900’s and entertaining guests who sat in the living room to sing along. In November of 2010, Mike met Dave Radford in Chicago at a fundraising event. Thanks to their mutual friend at piano trends, it was here that they played their first tunes together as a jazz duo. The Baker House, in need of New Years Entertainment, asked Mike to put together a swing band. Dave was the obvious choice for a front man, and after a successful night, Dave and Mike began playing at the Baker House every Friday. It was just a couple weeks later that “Felix an Fingers” was officially born. Along with F&F, Mike also had a successful online music studio where he would teach primarily piano lessons to students across the country. The website is still up – Playwhatyouwant.com – but hasn’t been updated in years (he’s been a little busy recently!). 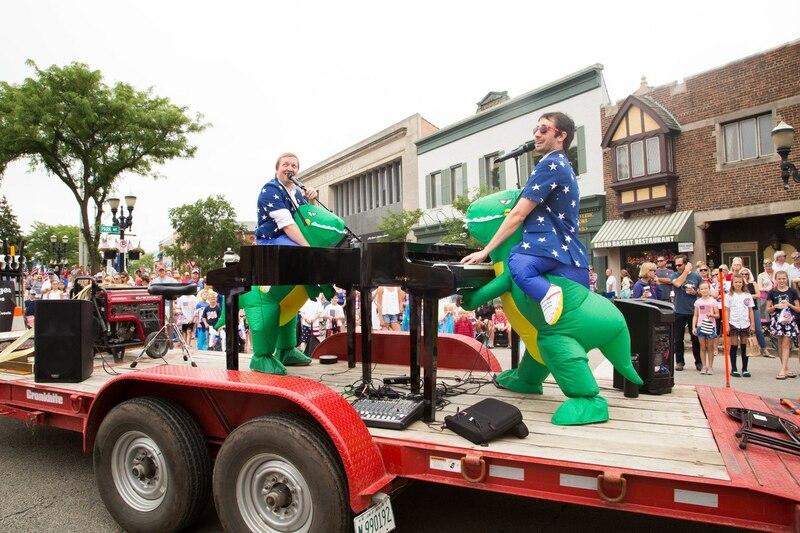 Dueling pianos aside, Mike has the privilege of being the Music Director for the Raue Center’s in house production company Williams Street Repertory. This professional theater company has Mike music directing 2-3 productions each year. Currently, Mike spends his days on the phone speaking with clients and F&F performers while managing the business along side his wife Jessica. They have a young Son (Elliott), a cat (Chino), a piano (currently unnamed), and a few sets of ear plugs. 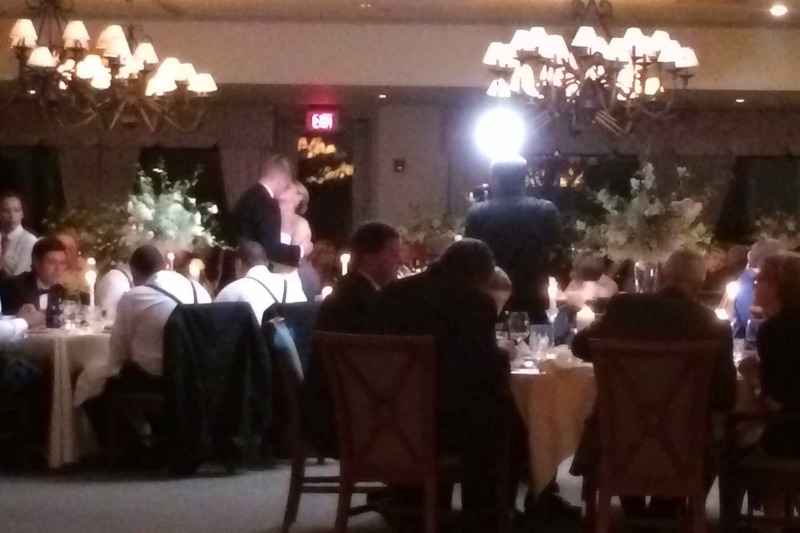 Baker House: Lake Geneva Weddings Wedding Season Is In Like A Lion… Mike Sherman: The Mad, Musical Mind of a Melomaniacal Mortal Felix & Fingers Video Blog!